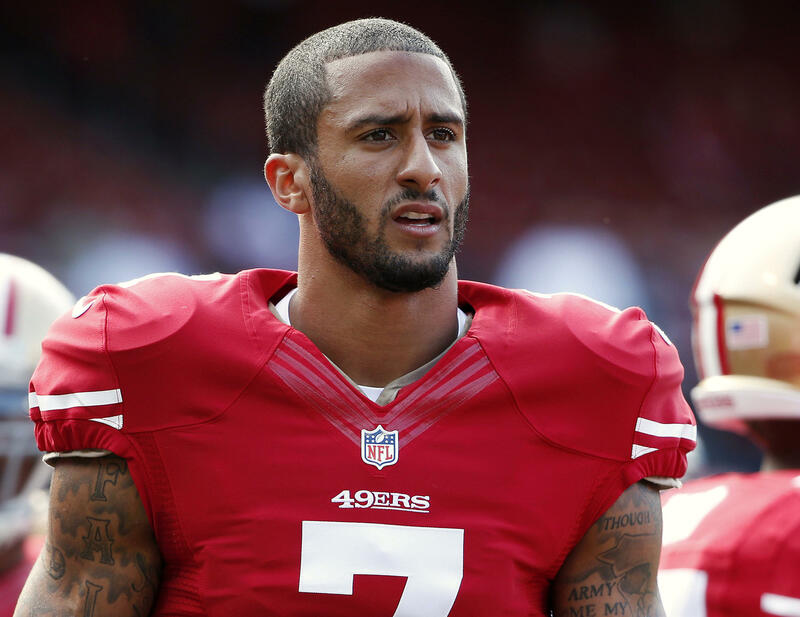 SANTA CLARA, Calif. -- San Francisco 49ers quarterback Colin Kaepernick is refusing to stand for the national anthem before games because he believes the United States oppresses African Americans and other minorities. Kaepernick sat on the team’s bench Friday night during the anthem before the Niners played host to the Green Bay Packers in an exhibition game. He later explained his reasoning in an interview with NFL Media. The 49ers issued a statement after Pro Football Talk initially reported on Kaepernick’s stand, saying that Americans have the right to protest or support the anthem. Kaepernick’s agent did not immediately return a request for comment. Kaepernick is in competition to win back the starting quarterback job in San Francisco that he lost to Blaine Gabbert last season. He made his first appearance of the preseason on Friday night after missing two games with a tired shoulder. He finished 2 for 6 for 14 yards and added 18 yards on four runs.